Over the years, I have had the opportunity to use many different types of equipment for myself and my clients. Everything from dumbbells to ankle weights. This equipment has always been very effective in my training regimen; however, if I had to choose my favorite piece of equipment it would have to be the TRX Suspension System. 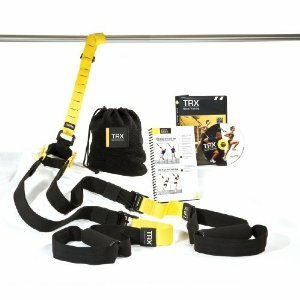 For more information on the TRX Suspension System, visit www.trxtraining.com. If you have any questions about it, please contact me at 732-618-0849. I wish you the all the best during your holiday shopping! Why do we struggle with fitness during the winter? Mention us to receive a discount! Be sure to check out Jersey Fit TV! The Jersey Fit team is dedicated to helping you achieve an overall healthy and stress-free lifestyle. Check out our website for the holistic approach you're looking for! I am committed to working with you to help you achieve your personal goals and maintain the discipline necessary to meet those goals in a healthy and long lasting way.